Front Fixed Panel: 14" Glass Door: 26" Side Fixed Panel: 30 in. 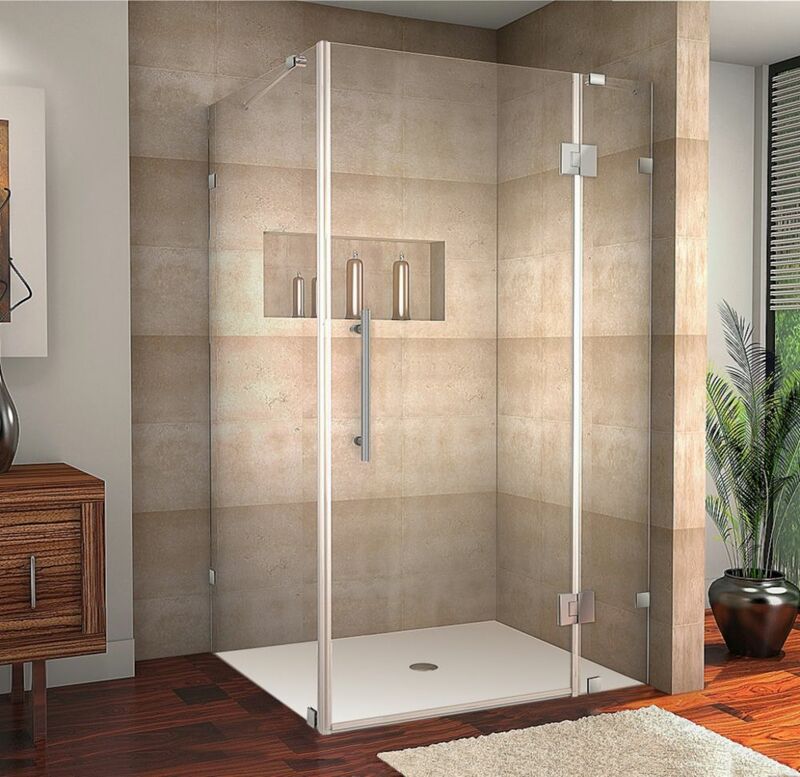 Avalux 40-Inch x 30-Inch x 72-Inch Frameless Shower Stall in Stainless Steel The Avalux square/rectangular completely frameless hinged shower enclosure series provides a contemporary, upscale showering experience in your existing shower space. Available in a number of sizes, the Avalux comes ready to install, complete with 10mm ANSI-certified clear tempered glass, chrome or stainless steel finish with stainless steel composite hardware, Self-Centering hinges, premium clear leak seal strips and engineered for reversible left or right-hand door installation. This model includes a 5 year warranty and base is not included. Avalux 40-Inch x 30-Inch x 72-Inch Frameless Shower Stall in Stainless Steel is rated 5.0 out of 5 by 1. Rated 5 out of 5 by tood70 from Beautiful shower. Ordered online and picked up at store. Arrived well packed and secured on palet... Beautiful shower. Ordered online and picked up at store. Arrived well packed and secured on palette with no damage. Installation was easy for us. My husband is a contractor. We built the shower enclosure so everything was plumb and square. We wanted an enclosure with no bottom track so the shower is barrier free. No tripping. We needed one side longer than the other and this company had many options including this 30 x40 which fit our shower perfectly. Nice thick glass and heavy duty hardware. Been using it about a month and love it!